Blind people who navigate using clicks and echoes, like bats and dolphins do, recruit the part of the brain used by sighted people to see, a new study has found. While few blind people use echolocation — emitting a sound and then listening for the echo to get information about objects in the surroundings — some that do are so good at it that they can use the ability to hike, mountain bike and play basketball, said Melvyn Goodale, one of the co-authors of the study published Wednesday in PloS One. Daniel Kish, 43, went blind at the age of 13 months from retinoblastoma, the same eye cancer that affected the late Canadian musician Jeff Healey. Melvyn Goodale says Kish can't remember a time when he didn't echolocate, and seems to have taught himself at a very young age. "His parents say that when he was about 18 months old, they noticed he was making these clicking noises." Kish is now president of World Access for the Blind, a non-profit group based in Encino, Calif., that teaches echolocation or Flash Sonar, mobility and life skills to blind youth and adults. He has taught echolocation in many countries around the world, including Canada, the U.K., and India. The other subject is a 27-year-old man who lost his sight at 14 due to a form of blindness called optic nerve atrophy. He was taught to echolocate by Kish shortly after that. Goodale, a psychology professor and the director of the Centre for Brain and Mind at the University of Western Ontario in London, Ont., said he was amazed by the abilities of the two blind men in the study. "They can tell a flat thing from convex. They can tell a bush from a wall, a car from a lamp post," he said. One of the two subjects, Daniel Kish, 43, could localize objects to within three degrees — "incredibly accurate," Goodale said. Both Kish and a 27-year-old male subject trained by Kish could also tell which way objects were moving. Goodale and his research team wanted to find out what was happening in the brain while people like Kish were echolocating. In order to do that, they used a technique called fMRI (functional magnetic resonance imaging), which detects changes in oxygen consumption by different parts of the brain while it is performing a certain task. For example, if a person is watching something, the visual part of the brain lights up because it uses more oxygen for that task. The researchers found that when echolocators were listening to their echolocation clicks and echoes, the part of the brain normally used to see lights up. "The job of understanding the echoes seemed to be the job of this remaining visual cortex," Goodale said. In fact, when Kish was using echolocation to detect moving objects, the part of brain that is used to see moving objects lit up. What's interesting, Goodale added, is that the echoes don't cause any unusual activity in the part of the brain used for hearing — it isn't affected by the echoes more than any other sound. 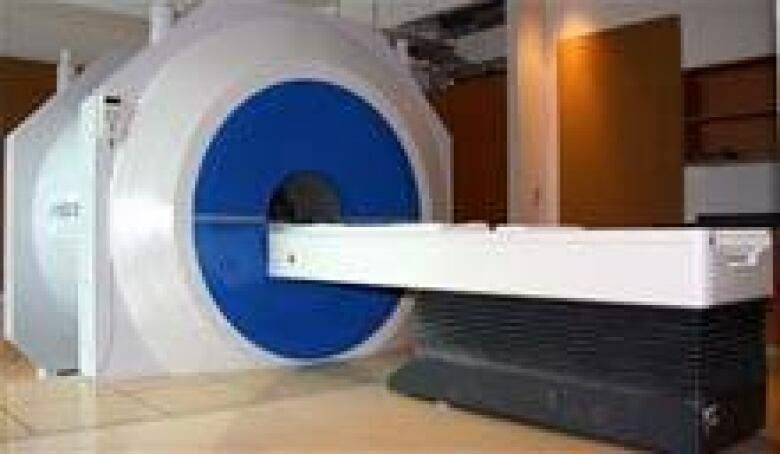 The experiment was a challenge to design because fMRI involves scanning the subjects while they are lying down in a small tunnel. (University of Western Ontario)"So it must actually extract information about the echoes, but then it passes it onto the visual cortex where it's analyzed," Goodale said. Two men who could see and did not use echolocation were also scanned, and the visual part of their brain did not light up when they heard the echolocation sounds. Goodale said the experiment was a challenge to design because fMRI involves scanning the subjects while they are lying down in a small tunnel. 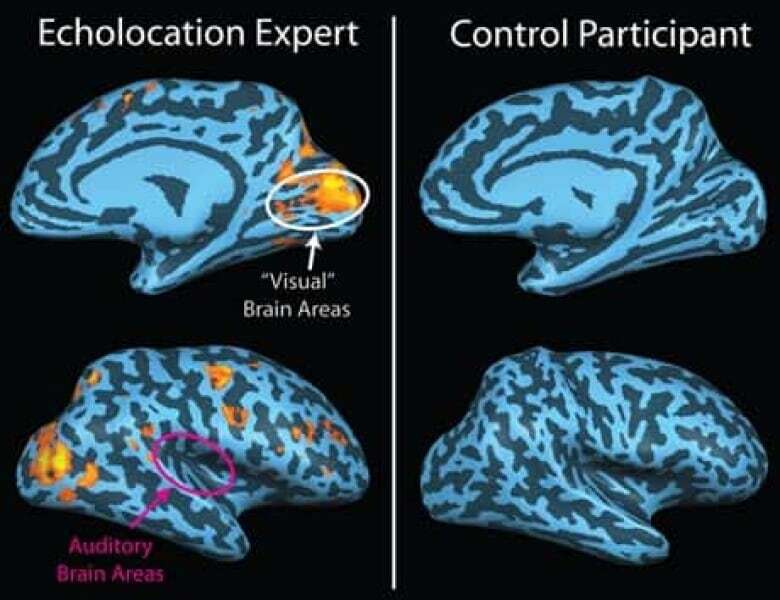 Because of that, lead author and postdoctoral research Lore Thaler and co-author Stephen Arnott created an experiment designed to mimic echolocation inside the fMRI machine. They placed microphones in the ears of the echolocators and recorded them echolocating outside. Then they played the sounds back to them inside the machine both as is and with the echoes deleted. Goodale said while he found the results very interesting scientifically, he was most struck by the abilities of the echolocators themselves. Something that Kish would add, he said, is: "I think this can be quite a liberating skill for the blind. 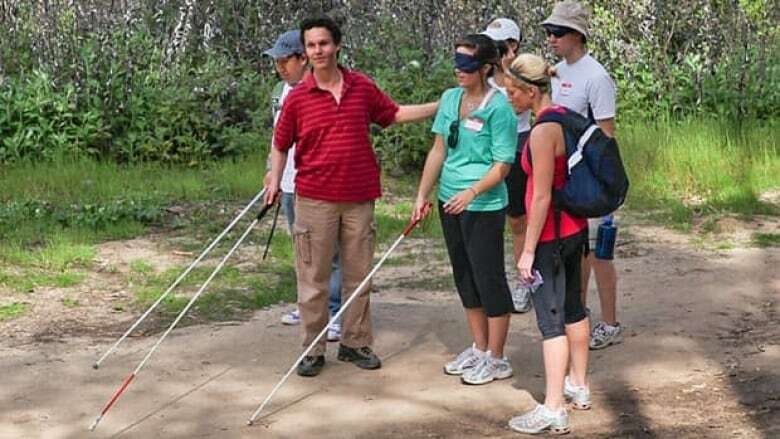 Not all blind people know about this and I think if more did and more had an opportunity to learn, then, they might find that their ability to understand the world well beyond their bodies is much better than they think it is." The research was funded by the Canadian Institutes of Health Research and the Ontario Ministry of Research and Innovation.